If you’re attempting to make money online — freelancing, selling products, etc. — a website is the best way to carve your presence into the Internet. Who knew, right!? An effective website works for you even when you’re asleep. Clients can find the information they want without having to wait for you to return calls or emails (this is particularly good when you work in different time zones than your clients). Whatever your chosen niche — proofreading, editing, writing, transcribing, reporting — whatever service you’re looking to provide, it’s 2019! You need a [professional-looking] website! Can I Make Extra Money Online Without a Website? Sure, you can absolutely make it work without a website, but having a website which clearly and professionally showcases the services you provide (and how to contact you) is paramount to building trust with your target market (clients). When I first started freelance proofreading, I didn’t have a website, and I wish I did! It hurts to think I could’ve filled in some downtime with extra freelance work from clients who found me online. Not just proofreading work, but copyediting, logo design, writing — all the stuff I love doing! Take this website as an example. I’ve got hundreds of thousands, probably getting close to a million words of content across my blog, courses, and FAQs — and that doesn’t include the hundreds of comment replies on those posts! What if I tried to build my business without any of that? It’d take a crap ton more work to make a name for myself. People would only hear about my services from word of mouth, then I’d have to answer the same questions and explain the complexity of what I do and how I do it to individuals over the phone or via email. When you’re trying to build a business, this is not a good use of your time. Websites change all of that. Besides saving time, websites help you earn people’s trust. By choosing to be visible online, you are automatically more accessible and more likely to be hired than people who choose to remain in the shadows of the offline world. It should be a cinch to find answers and a cinch to contact you. If it’s not, you’ve got some work to do! Fortunately, I’ve put together this super-thorough tutorial — bookmark it! It’s a step-by-step how-to guide on setting up your freelance website. The guide works for anyone offering any type of freelance service anywhere in the world. For reliable hosting, my first recommendation is Bluehost. 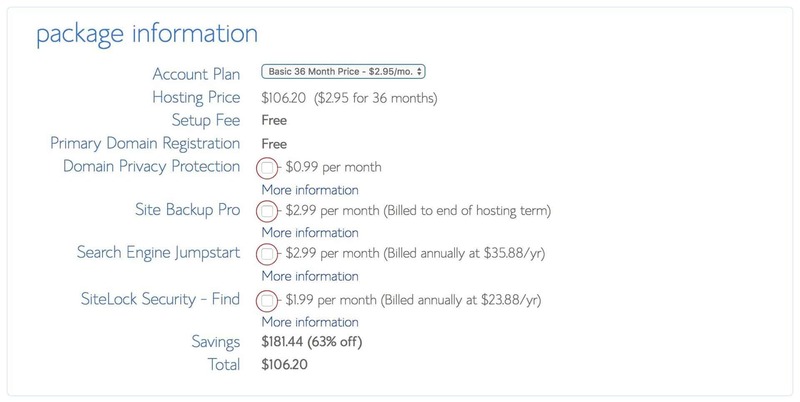 Bluehost has, well, a host of plans to choose from. 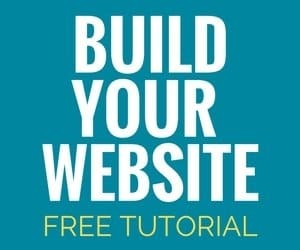 I recommend the Basic plan for your website. If you’re going to be using this website to build a gigantic blog with lots of posts, advertising, and visitors, go for the Plus or above. 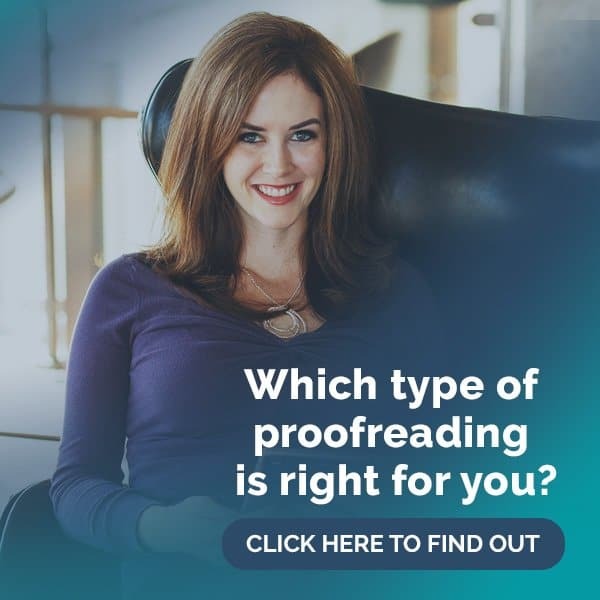 If none of the options you want are available, try adding “proofreader” or “editor” (or whatever you do) on to the end of your name, as in caitlinpyleproofreader.com. You could also use a “.net” or “.biz” domain, BUT just keep in mind that most people automatically type in “.com” before even thinking of other endings. Keep in mind the type of services you’re providing. Many of my proofreading students also offer other services like bookkeeping or virtual assisting, so choosing a domain name with only proofreading in it would be limiting. It’s always a good choice to own your own “name” as a domain. What’s the advantage of a personalized domain over a subdomain (like caitlinpyle.blogspot.com)? Because subdomains are not as polished and professional looking, and if you use a “free site builder” without your own domain, you’ll be left with ads at the bottom of your website. Yes, a free site with tacky ads is better than no site at all, but ads can slow your site down and call into question whether you’re a real business. Purchasing your own domain is so inexpensive (and tax deductible!) — there’s no good reason to not have one. Ask yourself: would you view ProofreadAnywhere as a lesser business if my website was proofreadanywhere.freesite.com? You probably would. Your own “dot com” legitimizes you far more than a subdomain ever will. PRO TIP! With your own hosting and domain, you also get your own email address with your domain — not just a Hotmail, Yahoo, or Gmail address. 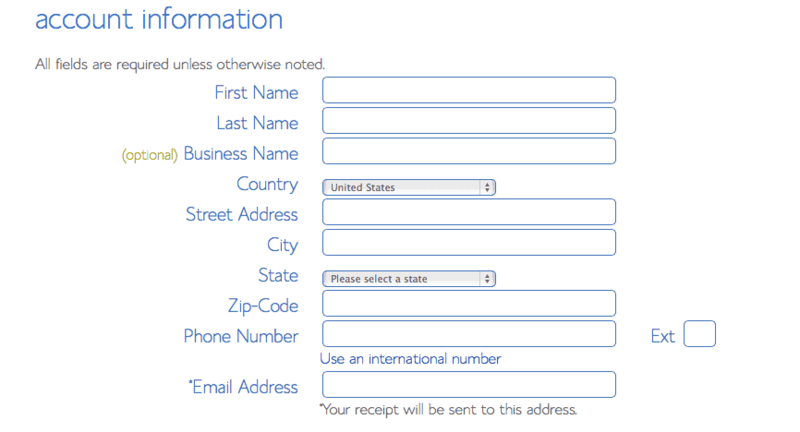 A real domain email address SCREAMS “I’m a real business!” As you can see in Step 2, five email accounts are included in your hosting plan — you only need one! — and did you know you can use your FREE Gmail account to send and receive with your personalized domain address? See Google’s step-by-step instructions to set this up when you’re ready. This is an easy step! Don’t worry; they’re not trying to steal your identity! Bluehost is a legit, award-winning hosting company whose very livelihood depends on their clients’ security. You can stick with the Basic package at $2.95/month, or you can choose to add on some extra security features. You don’t pay for them unless you choose them, and I encourage you to click the “More information” button to see if it’s something you feel you need or not. If you’re unsure, just remember these features are always something you can add on later. That’s it! You’ve got your freelance website up and running! Your theme determines what your website actually looks like, and you’ve got a lot of options in this department! Yes, there’s a wide range of free themes, but if you’re serious about this website, the customization and support offered by paid themes can’t be beat. When I first started ProofreadAnywhere, I used a free theme, and I didn’t even have the option to upload my own logo! 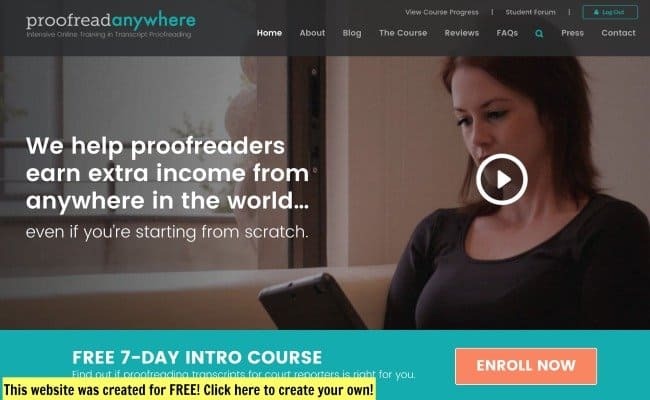 On ProofreadAnywhere, I use Genesis, which is one of the most widely used themes out there because it’s so easy to use — plus the pre-made “child” themes make it super quick to get a professional looking site. Another popular and ultra-flexible theme is Thesis. I also recommend Elegant Themes, which has a wide selection of gorgeous themes at very reasonable prices. All of these themes come with unlimited support — essential when you’re starting a website. The easiest option? Order one on Fiverr (if you’re new to fiverr, use this link for a free $5 service — that’ll pay for your logo! You’re welcome ;-)). GDPR compliance: Sometimes the legal stuﬀ is the least fun, but it is just as important as the rest. To protect your business and show you are protecting the privacy of anyone who gives you information, make sure you’re in compliance with GDPR. For more help, you can learn more information from Bobby Klinck here. Don’t forget social media icons! Make it easy for your visitors to find and follow you on social media by including links to your profiles in the sidebar. Here’s a basic tutorial for adding custom social media icons. Once you’ve finished your website design and content, make sure you have it proofread for any stray errors — this is especially important in the world of writing, editing, and proofreading! Even a single typo or poor grammar can cost you a client. Don’t skip this step! Put your website address everywhere. This is another big reason you want a personalized domain — caitlinpyle.freewebsitebuilder.com doesn’t look very professional plastered all over your social media or email signature, does it? You can check out my video tutorial for creating an image like this here. 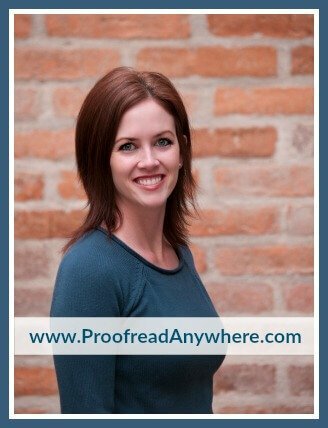 Proofread Anywhere Recommends… Check out this resource page where I talk about my favorite tools and resources for building your website, running your freelance business, and even keeping fit! 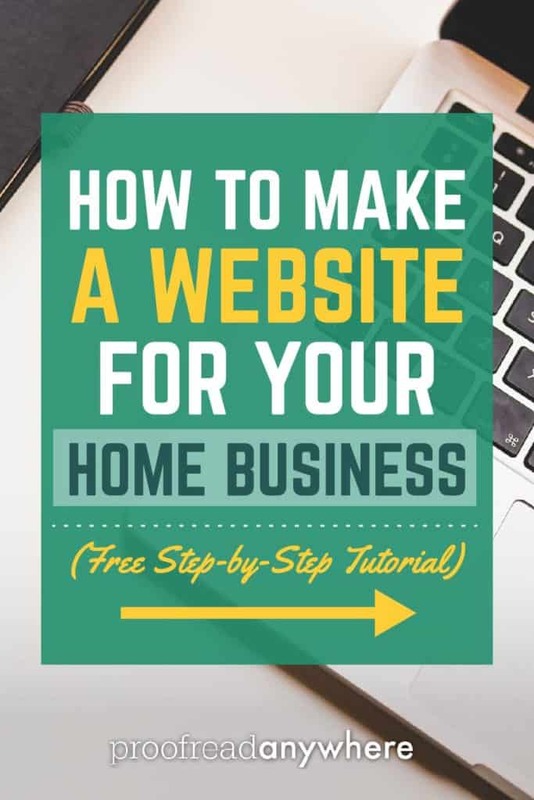 Do you make extra money online by having a website? How are you using it to grow your business? Enroll in the free 7-day intro course to learn more. This post is fantastic! I’ve read a lot about creating a blog/website, but this is the first post I’ve ever seen that clearly addressed every question/topic I was curious about. Looking forward to putting this all into practice soon! Thanks again! I’m so glad you found it helpful!! Feel free to share with anyone who is stuck on how to start up. I know it would’ve been super helpful for me starting out!! Wow, Caitlyn! Thank you so much for all of this great information and for the time and effort you put into helping others’ success, not just in proofreading, but any small business startup! I have not finished the course work yet, but I am trying to do a little planning ahead for when my marketing time comes. Is there anyone who would be willing to leave a link to their website? I have no idea where to start when it comes to building content. Any extra help would be greatly appreciated! Excellent!! If this is any indication of your thoroughness as an instructor, I can’t wait to start your course. Wow you really took the time to lay out the details. One of the best tutorial’s I’ve seen on this. Thank you so much! Cringing at the fact I put an apostrophe ‘s’ on tutorials above. LOL. Caitlin, Thank you for writing this awesome post. This was great and much needed information. I can’t wait to put it to use. Keep up the great work. Thank you for this fantastic information. I’m talking the course and trying to come up with a name. I already own the domain with my name and I may use that, so I can add services at a later time. I will probably switch to Bluehost too. My current provider took away my free email and the monthly charge is not worth it. I haven’t mastered WordPress, but this makes it seem less daunting. Thank you again! Awesome!! You are very welcome. This is great, Caitlin! Thank you. Thank you, Caitlan. This post is full of helpful information that gives me confidence to start my own website . . . sooner than later! But you did not tell how will my clients find me , my website I mean ? Hey, Shaurya! The SEO plugin will help you with that. SEO stands for “search engine optimizer” and helps you target the right audiences, including potential clients. And, of course, your website is just one tool in your marketing toolbox! Good luck! I must admit that these helpful tips can not be found in free places. Just few paid courses may teach you this kind of info. Thank you SO much. 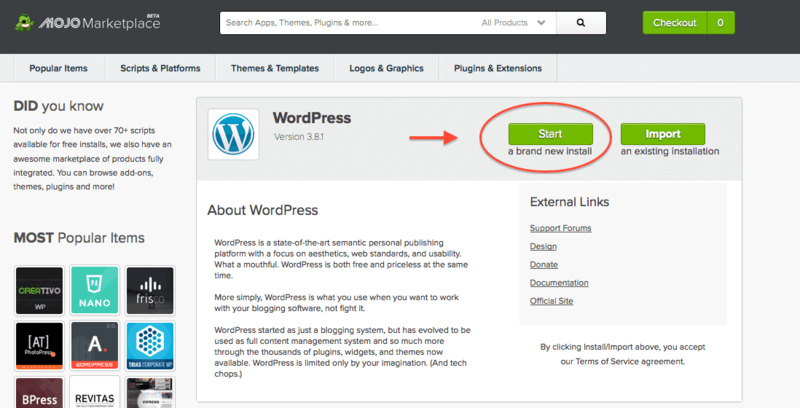 This is the first complete and understandable post I’ve EVER read on setting up your website! Great information here Caitlin. Very easy to follow. Thank you! I find this lesson on website development inspiring. It is a step to in right direction. At what stage of biz set up is it needed? You should definitely wait until after your training is complete in whatever you’re doing before you set up your website. After that, it’s up to you. Most people like to have a website set up right away to refer people to when they start marketing. Others will wait a while, and some won’t create a website at all. Excellent point Amy. My main focus is deciding whether I will move forward with the program. I’m not the best proofreader but I am persistence. Today I listened to a Grammar Girl podcast and found it extremely helpful. I’ll deal with marketing and websites after training. It’s $99 for their cheapest option. Which is a bummer, as I wasn’t expecting to have to pay more than the Bluehost fee… just wondering if I’m missing something, or if the article perhaps needs to be updated? Just wanted to check! Don’t forget step 8! 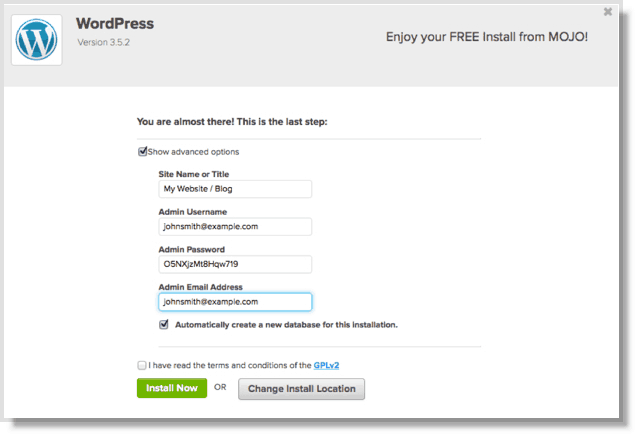 : ) The option to install WordPress is still free. 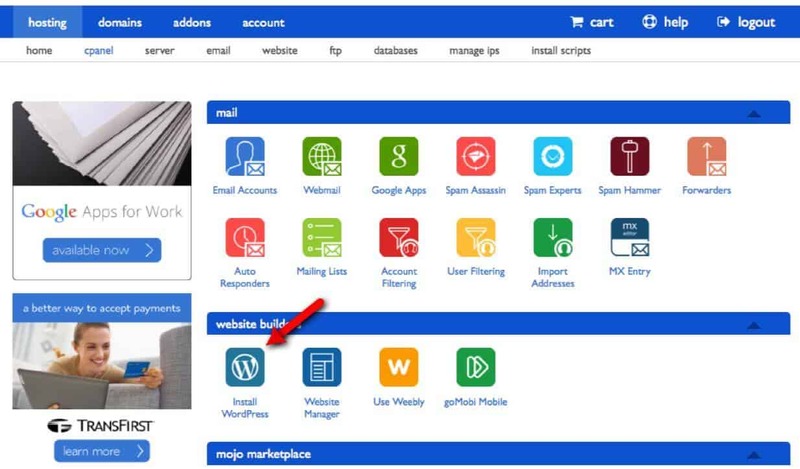 You definitely will have options to pay more and upgrade, but if you follow the steps and click on Install from Mojo Marketplace, the option shown above will have WordPress for free! Thank you so much for your very detailed and informative article. I have attempted Google searches and have asked my LinkedIn connections, but the information has been vague at best. I am on Upwork and Freelancer, but I want to build my business and my availability to potential clients. Your information will prove to be very helpful. Is the Under Construction plugin free? Be sure to make your domain private when setting it up or you will receive a lot of spam mail and a ton of unwanted phone calls. I am so thankful to have discovered your awesome course and tutorials that I am almost in tears. I am an army veteran with disabilities that preclude my working in the fields for which I have been trained. I have 20 years of military service and two masters degrees, one of which I completed two years ago in special education. The other one is in legal studies. I owe $180,000 in student loans. 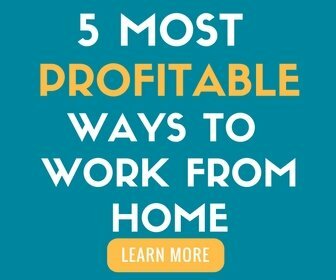 I have been searching and searching for a career that I can do at home – a home business – and had been considering Court Reporting, but I didn’t want to invest that amount of time – or money. Since I love reading, writing, and research, I was looking for something relative to those areas, and your course seems to fit the bill. Your website is extremely professional, aesthetically pleasing, and user-friendly; your instruction is clear and thorough, and your fees are beyond reasonable. Plus you even offer a payment plan!! I cannot thank you enough. May God bless you in your life, work, and all of your future endeavors. This is true. I set up a website and before the next morning, I had phone calls, voice mails, and several emails asking to hire them to help me with my site. it was all so overwhelming that I cancelled everything and am going to try again in a few months. Wow, such a thorough & informative post! but ended up finding Weebly and really like it! than with the WordPress using Fotoflexer, Pixlr & Canva. Note: the weebly website I’ve indicated is given just as an example! Heads up, team! It’s 2018 now (do a find and replace for 2017). Also, you can purchase your own domains on Weebly now. I ended up going that route after reviewing all the comments in the PA Grad group about WordPress difficulties and Weebly love. Someone even posted a comparison chart of the two which I found helpful in selecting a hosting and website option. I think it might be a different lesson that this one, but there’s a comment about Weebly being a subdomain option. Might be time to update in case there are others that would prefer that option. Thanks for posting this tutorial! I personally decided to buy my domain from Name.com in case I ever want to change hosting provider. Usually your name is a good domain name, but I just had the experience of not being able to contact someone because I misspelled their surname which is in their domain name. (Was that one ‘n’ or two?) Also, I Googled and found another person with my surname doing similar work, so I want to be different enough yet easy to remember. Oh and another reason to buy the domain right away is that coming back later you may find the price is higher because other people (you) are searching for this! Take it from a major procrastinator! This is exciting, and scary at the same time hehe. I feel like i would so lost with words the minute I create my own website. I wouldn’t know what to type about myself. But I truly feel it’s worth the shot. Great info! Thanks! However, I do have a question. I already have a website as a novelist, but I’m not real happy with it. Should I repurpose it into my proofreading website? That’s completely up to you. You could repurpose it if you don’t have too much content uploaded already. It might depend on what your goals are for your website. Do you want to attract proofreading clients or market your books? At the moment, I feel it’s more important to get clients. You could always keep a page on your website advertising your books.